Join other bikers on a medley of flow trails, enduro routes and ancient mule tracks. Follow your MTB guide through alpine peaks, spectacular scenery and unspoilt pastures. Live it up with a day of friendship, fun and great riding. An epic tour that will take your breath away. Every Saturday and Tuesday from 30 June to 8 September 2018. On Saturday 14 July the Tutti Frutti Experience will not be running because of the Tutti Frutti Team Challenge which will be taking place as part of the Great Days programme of events. Meet with the MTB guide at the Livigno Bike Center in Via Isola before ascending the mountain on the Livigno Centro gondola. H 10.00 – 13.00 A.M.
Tutti Frutti Part 1. Ride on the newly-constructed trails: Roller Coaster, Bikers United, H-Dream (Hutr), and Blueberry Line. H 13.00 – 14.00 A.M. Lunch at the Carosello 3000 Refreshment Centre. H 14.00 – 16.30 A.M.
Tutti Frutti Part 2. 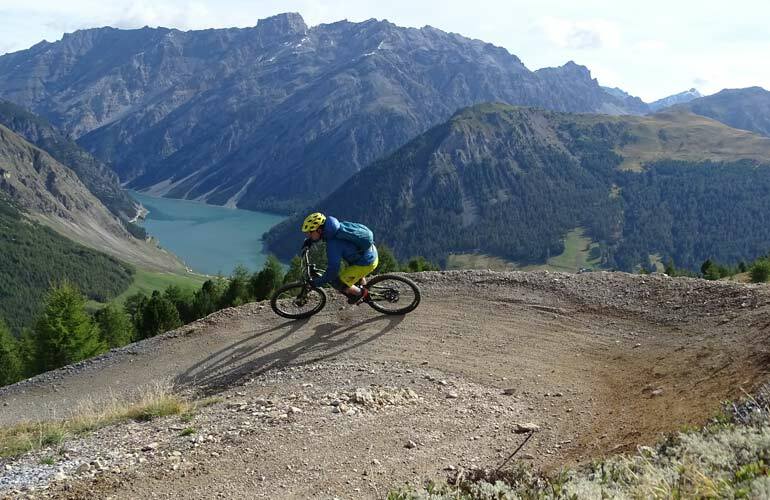 Ride on the legendary trails of Livigno, stop for a coffee break at the Madonon, descend through the wild and wonderful Federia Valley to end the tour at the Tagliede Restaurant. 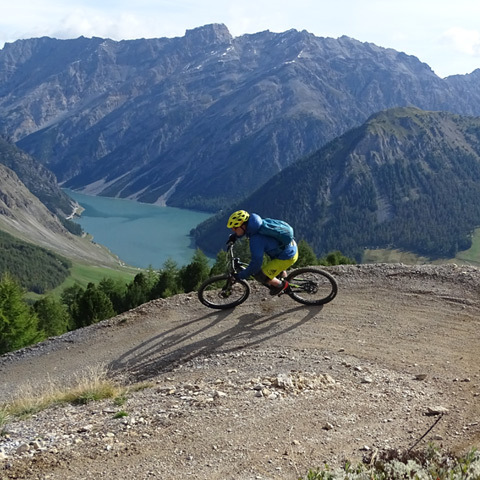 Trail or enduro mountain bike, helmet and Bikepass valid for the Carosello 3000 Mountain or Bikepass Livigno. Kneepads are recommended. The Tutti Frutti Experience is suitable for intermediate bikers. The cost of the Tutti Frutti Experience is €39.00 per person. Ticket includes: guided tour with a specialist MTB guide, a one-course alpine lunch at the Carosello 3000 Refreshment Centre, a Carosello 3000 outdoor cup and Tutti Frutti ice cream at the end of the tour. You can buy your experience in Livigno up until 5.00 p.m. the previous day at the Carosello 3000 San Rocco gondola ticket office or the Livigno Bike Center. You can also book on-line and pay with PayPal or by credit card. Don't miss out, places for this experience are limited. The Tutti Frutti Experience is an exclusive event with a limited number of places. Book now to secure your place before they're all gone. The most thrillin' and chillin' adventures and experiences on the Livigno Mountain. A paragliding flight over the alpine peaks. Secret freeride spots and an alpine picnic.